Have you been talking about either entering or completing your education for ministry for years? You know that you need the education to deepen your understanding of the Word and to sharpen your expertise in your Kingdom vocation. Now is the time to move forward; now is the time for action. Heaven is releasing a fresh anointing in 2016 for establishing Kingdom priorities and order, and your education should be a part of your new Kingdom focus. Enroll using Plan C (Full Payment with Enrollment) and receive a full 30% discount on your tuition. To qualify, we must receive your enrollment before March 31, 2016. 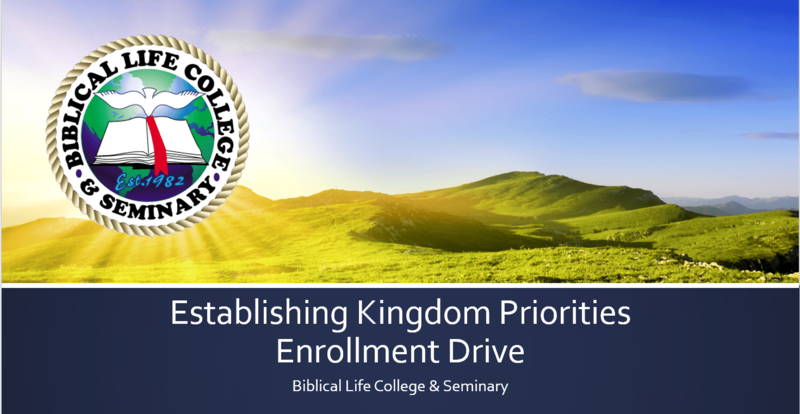 Please write “Kingdom Priorities” on the top of your enrollment application.